Home » Terrylazz2 » Map: Livonia, Courland. 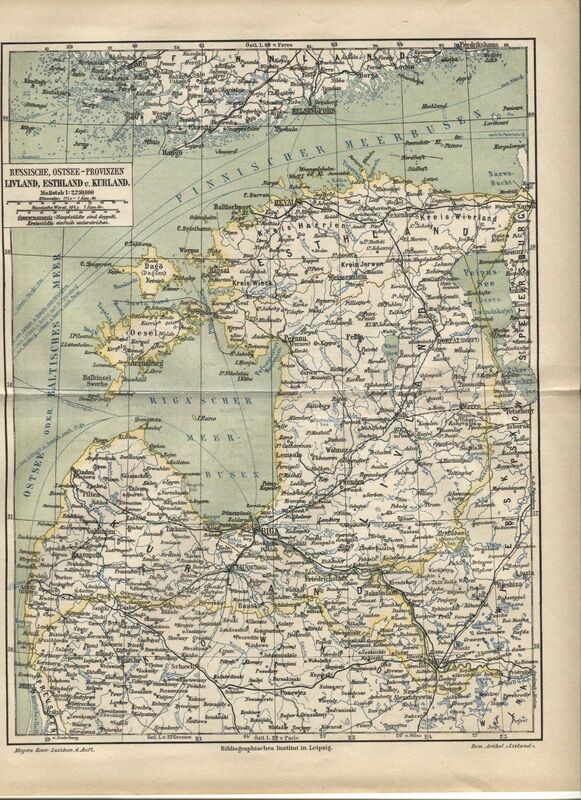 Baltic Russian Provinces. Antique German 1888 print. Map: Livonia, Courland. Baltic Russian Provinces. Antique German 1888 print. 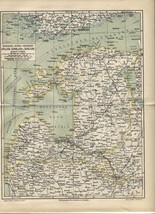 Map "Livland, Esthland u. Kurland" Livonia, Esthonia Courland (Russian Baltic Provinces) from Meyers Konversations-Lexikon 1888 Original plate (not a modern reproduction) rescued from an antique German Encyclopedia. This plate is in very good condition, lightly toned from age. The scan makes the center crease seem more obvious than it is. plate size: 11 3/4 X 9 3/8 inches printed area: 10 1/4 X 8 13/16 inches **My scanner is 9X12, so the left right edges are not shown** Back side is blank. Highly suitable for framing. See my other listings for more from this collection Free domestic shipping! On Jul-13-13 at 11:51:59 PDT, seller added the following information: FREE! Sellers: Add a FREE map to your listings. FREE!